Here in the Digitization Lab, we have been working on a collection of medieval and early modern manuscripts belonging to Rare Books, Special Collections, and Preservation at the River Campus Libraries. This collection is overseen by Anna Siebach-Larsen, director of the Rossell Hope Robbins Library. 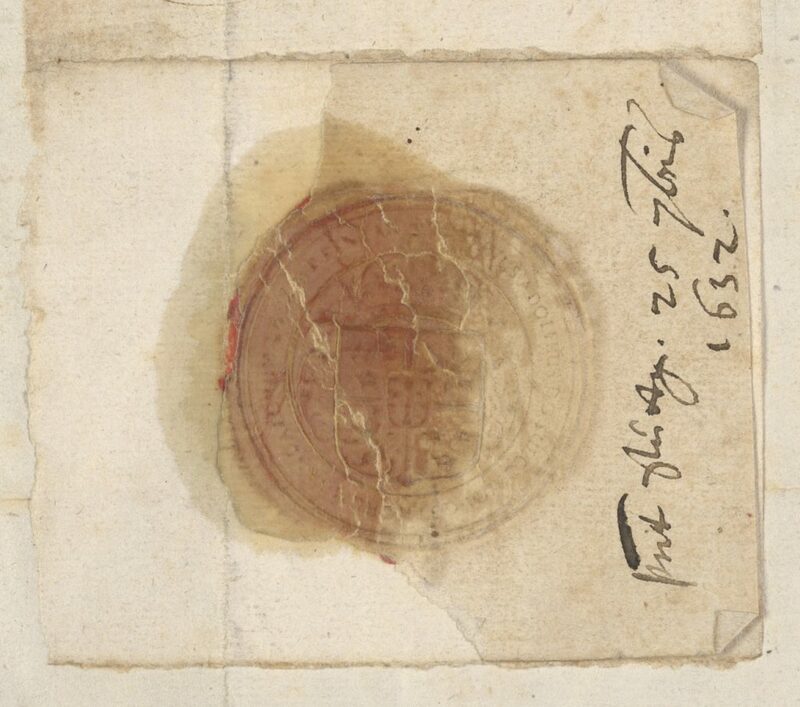 Many of the manuscripts have seals that validated the written text of the document. One challenge when working with seals is that the details are not always immediately readable to the human eye (as seen below). To get to the fine detail in the seal, we use a photographic imaging technique known as Reflectance Transformation Imaging (RTI) that works by capturing the same image repeatedly, while moving the light source. The images are then compiled into a viewer that allows the user to move the light source around the surface of the object in order to view it at different angles of light to better see things not otherwise immediately evident. Below we can see the same seal, but with the light at a rake and the contrast increased. 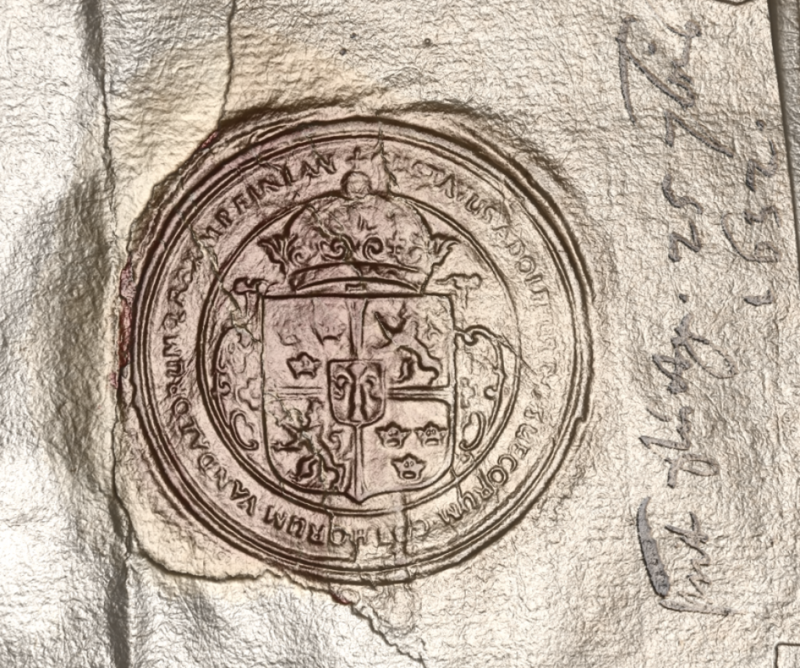 Through this, the imagery within and the writing surrounding the crest become visible, and we can identify it as the seal of Gustavus Adolphus, King of Sweden (1611-1632). The computer program also allows for the image to be viewed using a variety of different modes, such as under specular enhancement, which shows the relief of the seal by highlighting where the light reflects off the surface. 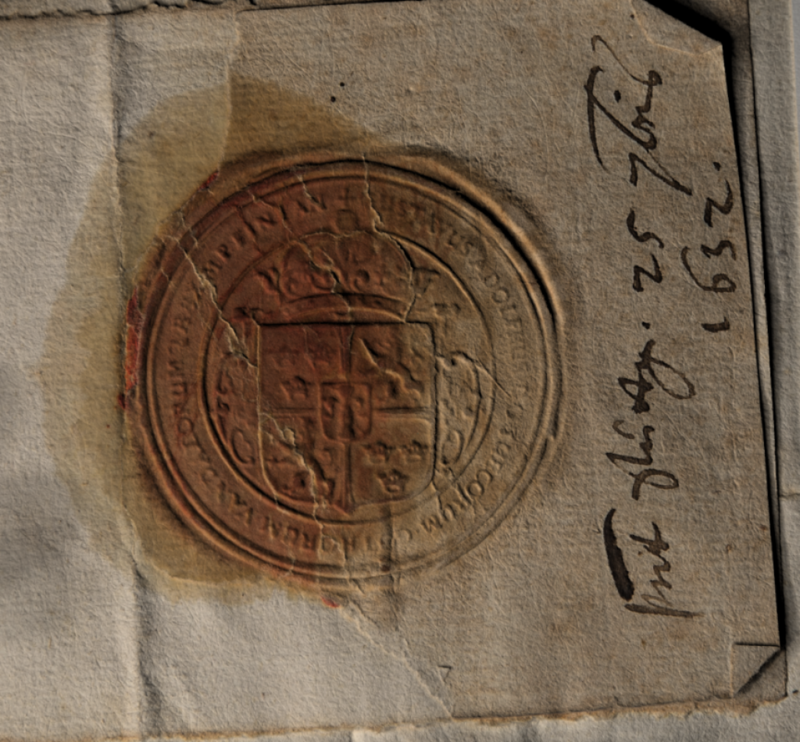 When we look at these three versions side-by-side, it’s easy to see how the digitization process and RTI can help reveal bits of history in the details of the seal. 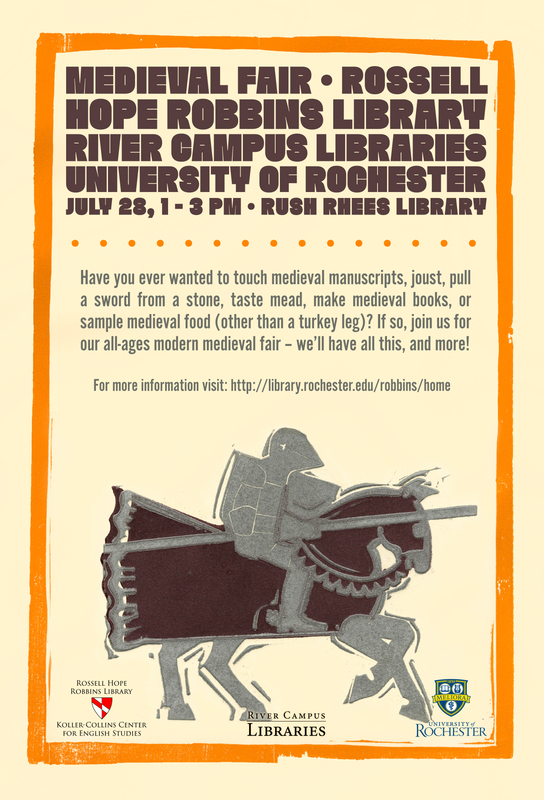 If you’d like to learn more about manuscripts and seals, come to the Rossell Hope Robbins Medieval Fair on July 28th.